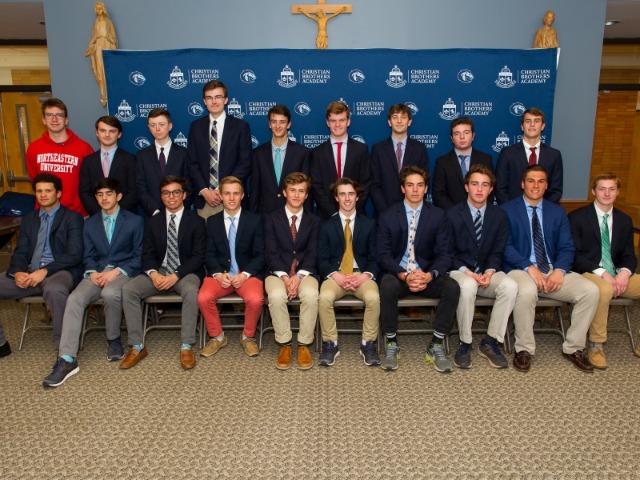 When you drive onto the Christian Brothers Academy campus, visitors are greeted with the renovated Sprint Barn, confident structure of the main office, and the shimmering windows of the Quinn Library. But what lies beyond is an iconic structure that predates the Academy: the Round Barn (or simply, “The Barn”). Like many of the structures on campus, The Barn is a remnant of the property’s past—the former site of Whitney Greentree Stables, where many real Colts were trained- hence the school’s choice of mascot. Prior to the property’s purchase in 1958 by CBA’s founders, The Barn’s 300-yard track was used exclusively to exercise and train horses. Br. William Martin remembers fondly the first few years of the schools management of the dirt track while horses were still housed on campus. “In a pinch, if the track needed harrowing, two tractors could fit side by side with a few inches of clearance and make their way around, one doing the inside and one on the outside” recalls Br. Martin. “If it had been a boring day, sometimes we’d send the tractors opposite ways to get a bit of competition going.” This athletic history was continued when the students of Christian Brothers Academy began to use it to continue their athletic training through inclement weather and intramural sports. But like with most things, time has not been kind to The Barn. The once loose dirt horse track is now practically asphalt from the thousands of CBA athletes that have run its course. The blood, sweat, and tears of those athletes have literally become a part of the track, mixed into the very history of the building. The back stretch seems to have suffered the most at the hands of Father Time due to the burrowing groundhogs, almost turning the track into an obstacle course around the bend. 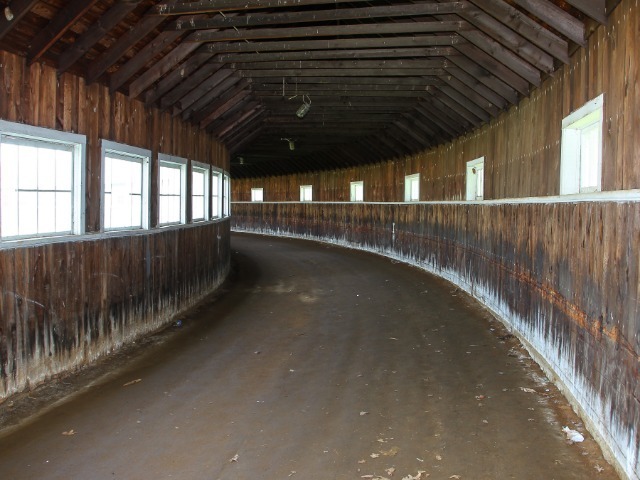 A view of the track inside the Round Barn, which is composed of clay dirt track. According to Br. Martin, the windows have always needed constant maintenance and repair as the elements began to gain the upper hand in the fight to keep The Barn in good shape. The lights added to the building in the late 1960s now lay dormant due to a lack of power. This lack of lighting means the setting sun has come the quitting time whistle for most track or cross country workouts inside. The once-new asphalt basketball courts on the infield of the track are now overrun with cracks and vegetation. The bitter rivalries fought here during intramural basketball no longer continue, although some may still have some disputes with their fellow alumni over a questionable call. The crew team now uses the basketball surface as an area to store the team’s boats and trailers. 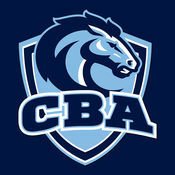 None of this stops CBA’s elite cross country and track programs, however. As the years pass, the tradition of hard work, dedication, and pure determination continues to thrive. 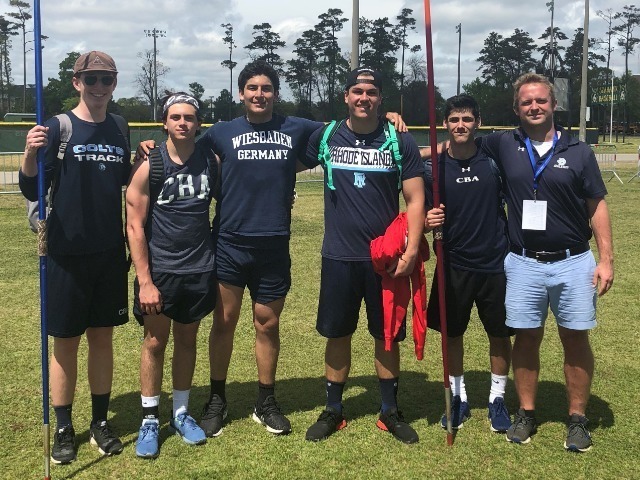 Looking back, alumnus, former teacher and coach, Chris Bennett ’94, attributed the ability to train in this old, grimy shelter during the cold winter months as partly responsible for the record setting 2014 4×1 mile relay team at the New Balance Indoor Nationals. The team of Blaise Ferro, Michael McClemens, Francis Bogan, and Tommy Rooney etched their names into indoor track history by resetting the national record to 17 minutes, 7.17 seconds from the previous 17 minutes, 20 seconds set by Chariho Regional from Rhode Island. Bennett recalled a particular stretch of below freezing practice days during his senior year that was saved because of The Barn. “If it was zero degrees outside then it was zero degrees inside, but there were no shortcuts. There was no giving up. We wanted to succeed and make sure the tradition of winning survived,” Bennett said. The cross country team has done just that with an impressive dual meet winning streak of over 350 victories. 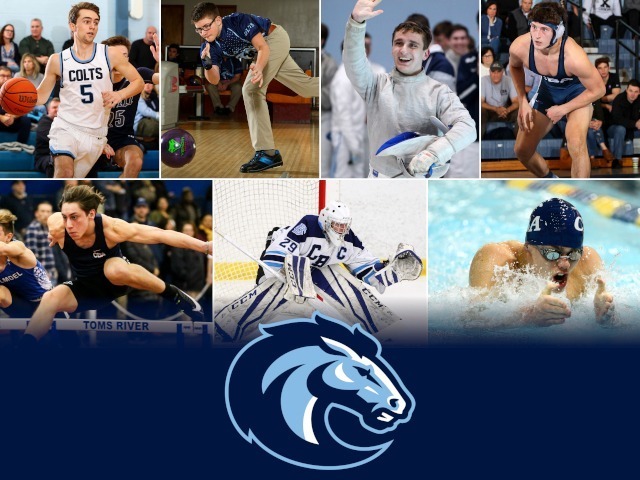 This record has been alive since 1974 when the team of Phil Shaheen, Al Campanella, Rich Desmond, Chris O’Brien, Sean Higgins, Pete McDonough, Jim Ansell, and Jack Surgent swept Marist High School to start the season. For some, it is just a round building in a rundown state, but for the students and alumni of Christian Brothers Academy, the Round Barn represents so much more. Opening the garage door and walking onto the track almost feels like walking into a time machine. The musty smell of old wood and dirt mixed with the moisture in the air brings you back to the very beginnings of the school. 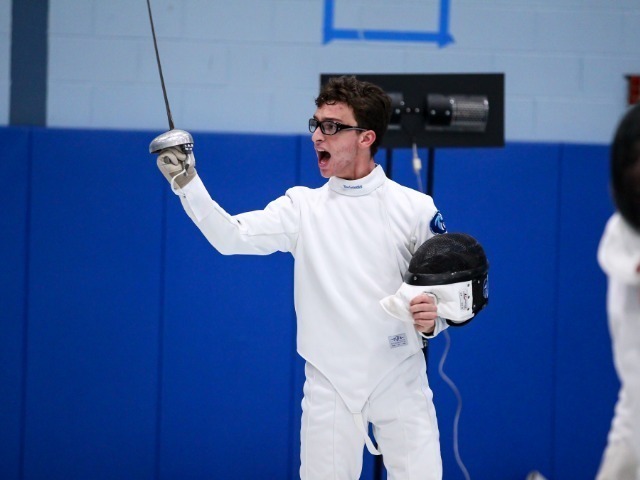 Its past as a horse farm and its continued future as training facility collide to bring athletes back to their days as an 18-year-old competing with the letters CBA across their chest. “The Round Barn is a physically representation of the hard work and dedication that CBA has become synonymous and will continue to be known for over its fifty-eight year history,” Bennett said.